A happy 40th Birthday balloon collection comprised of six helium filled birthday balloons. 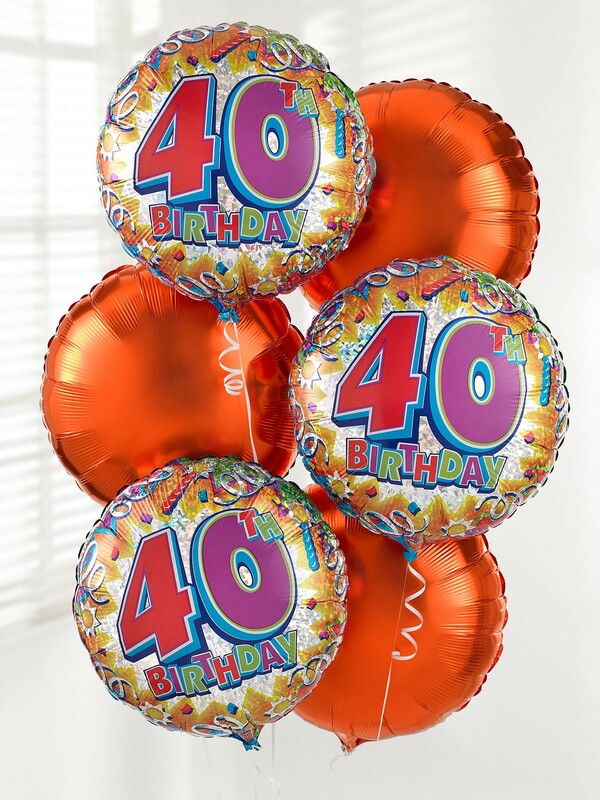 Make someone's happy birthday even more fun-filled wih our happy 40th birthday balloon set consisting of six helium filled balloons. 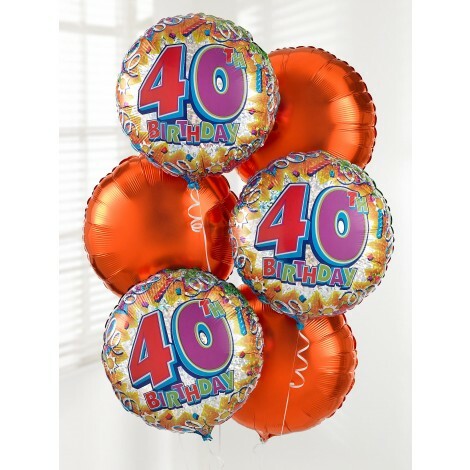 three are designed with a "40th Birthday" design, with the remaining three working in great harmony as contrasting, bold and bright orange helium filled balloons. Total of six helium balloons.